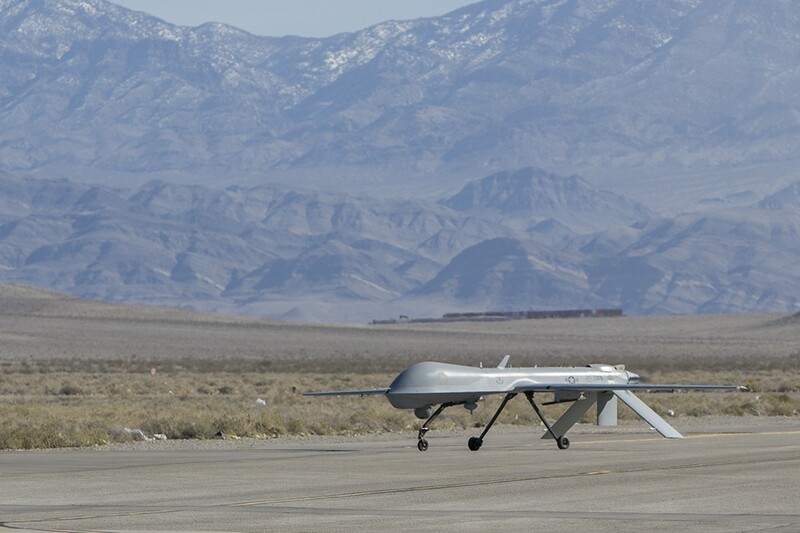 Creech Air Force Base in Nevada is where the Pentagon trains the operators of its expanding force of globe-spanning, armed drone warplanes — and where many of these operators steer and monitor front-line Predator, Reaper and Sentinel drone missions remotely via satellite. In 2009 the military ended journalists’ access to Creech after a Washington Post story revealed embarrassing vulnerabilities in the robots’ satellite links. A year earlier Medium contributor Bryan William Jones was perhaps the final photographer to be allowed to take pictures of Creech’s people, machines and facilities — and to observe the killer drones in action against terrorists and insurgents. “Standing on a remote runway in the high mountainous desert listening to and feeling the WHUMP! WHUMP! 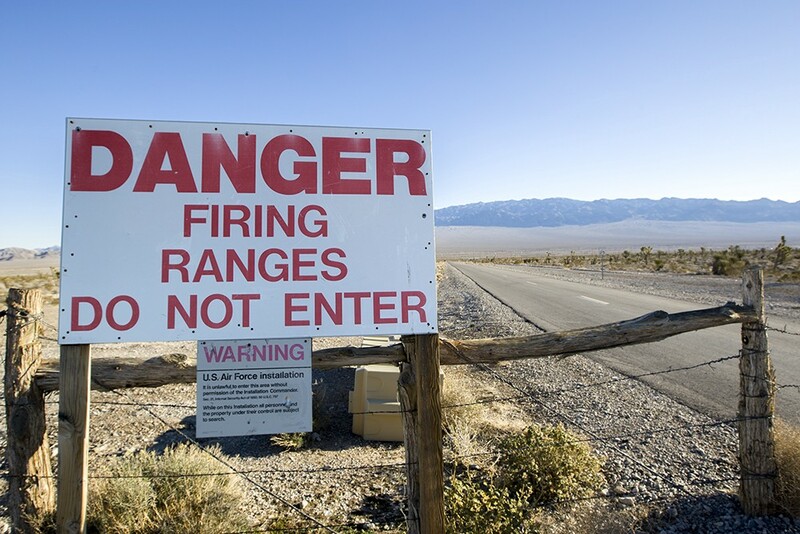 of 500-pound bombs dropping approximately five miles away on the training range while Unmanned Aerial Vehicles take off on the runway in front of me, one might easily mistake this place for an air base in Afghanistan,” is how Jones recalled his impression of Creech, a World War II-era facility 35 miles northwest of Nevada. “The last time I came through in 1990, the base essentially comprised a few asbestos-filled buildings and a single runway of 3,000 feet or so,” Jones continued. “Not much changed for most of the following decade, but in the last few years there has been a dramatic investment in infrastructure at this base including many new buildings, a new control tower, new very large hangars in the northeast corner of the base, a new runway and a substantial increase in length of the existing runway. “My first and now sustained impression of the 432nd Wing can be best described as an almost guerrilla-style operation that has in less than two years become the number-one most requested asset in the U.S. Air Force,” Jones wrote in 2008. 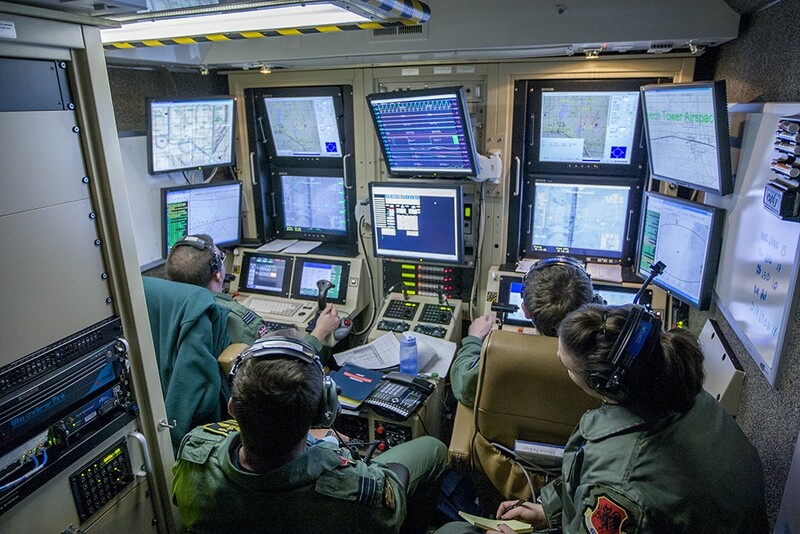 “The feel here is very different from other Air Force operations, which may partially explain how and why these folks are doing something very different from what most of Air Force crews are used to doing. The 30th also operates the stealthy Sentinel drone, whose existence the Air Force officially acknowledged in 2009. 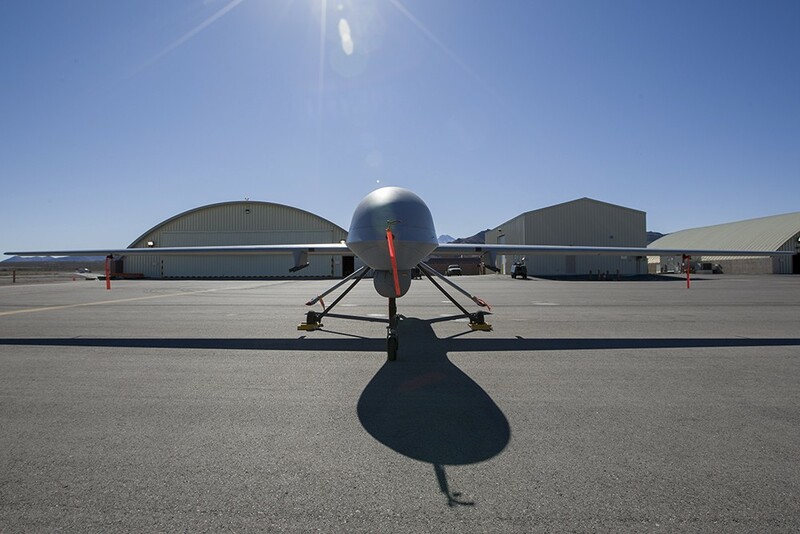 Since Jones’ visit in 2008 Creech has added several more drone squadrons to accommodate the hundreds of additional Predators and Reapers that have entered the military inventory. “While the Predator platform was expected to function purely as a spy drone whose traditional roles include intelligence, surveillance and reconnaissance, it has become a fully combat-capable aircraft with a payload of 300 pounds, enough for a couple of Hellfire missiles,” Jones wrote. 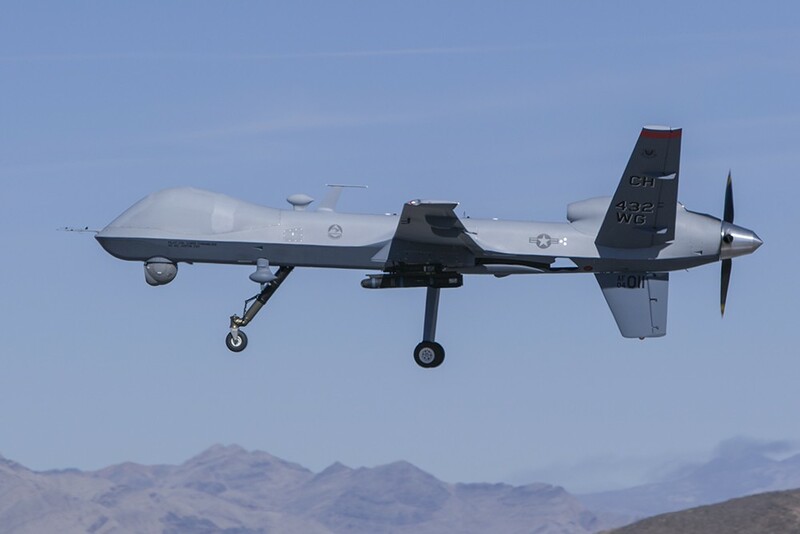 “While it is used for strike missions, the Predator’s role is still primarily ISR, leaving the much larger Reaper — capable of carrying a 3,000-pound payload, almost the same weapons load as an F-16 — to function as a strike aircraft. “These aircraft are most effective in urban environments where one often needs to loiter for extended periods of time. 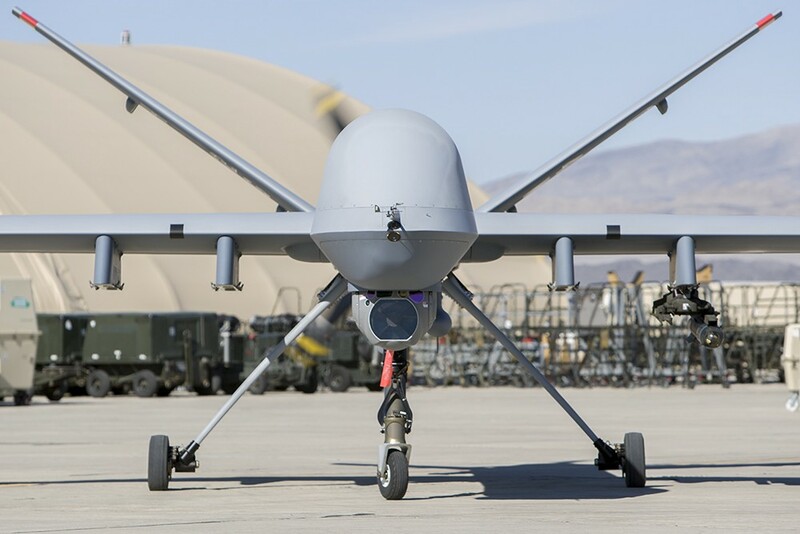 Both the Predator and Reaper have infrared sources in the optics ball that are used not only for takeoff and landing at night, but also targeting and IR illumination from altitude. It’s remarkable to see how much IR energy can be delivered from altitude, illuminating huge swaths that can be seen with IR sensitive night-vision devices. “The life of a Predator or Reaper begins at the General Atomics factory in San Diego. Predators are boxed up then shipped to Creech where they are assembled, tested and qualified before potentially being sent to bases abroad. 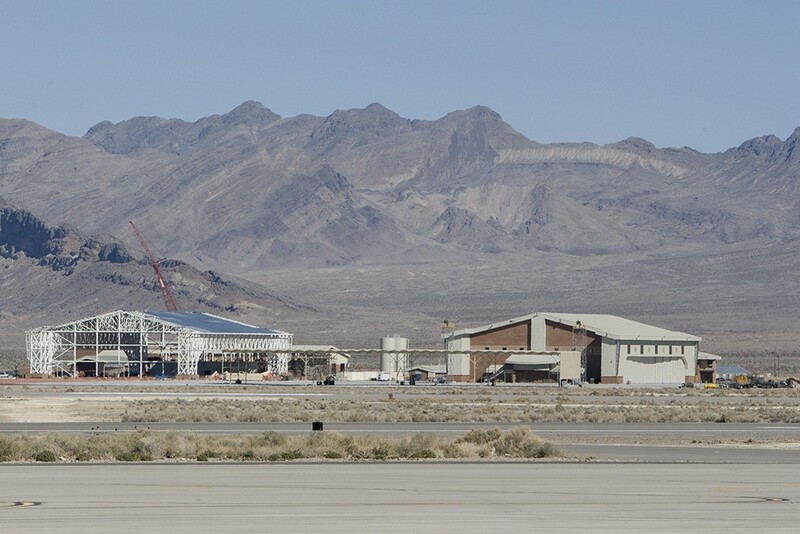 Reapers are assembled at the General Atomics factory and typically flown up to Creech or even simply flown overseas to the theater of operations straight from the factory, as assembly of the Reaper is considerably more complicated. “Upon delivery, each plane becomes part of a combat air patrol. These CAPs are flown 24 hours a day, seven days a week, 365 days a year. Each CAP is composed of four airplanes unless it is co-located with another CAP, in which case the CAP has three aircraft. “Two ground control stations are deployed with a CAP, one in theater and one back in Creech. Eighty personnel are in each CAP: approximately 50 people overseas for launch, recovery and aircraft maintenance along with three or four dedicated operations crews that perform takeoff and landing at the overseas drone facility. The balance are at Creech, from where they remotely pilot foreign-based drones. “An operation begins with the launch of a drone by the GCS located overseas. Once the aircraft is in the air, pilots at Creech are notified. For operations in the Middle East, a GCS at Creech uses Internet optical fiber connecting it to Europe, from where it can grab the drone’s data via a Ku-band satellite in geosynchronous orbit, then log into the airplane and assume control for the next eight to 16 hours flying the mission remotely. “Data and full motion video are then pumped back to Creech as well as to other locations including intelligence exploitation centers. These centers are typically Langley in Virginia but even some of the Air National Guard units with intel experts and imagery analysis are involved. “Operations are carried out in real time with a two-second delay due to the time it takes to transmit video and aircraft control through the network. And while the pilot is not physically in the aircraft, missions can still be harrowing. “For instance, one of the operations I watched while at Creech included a Predator ‘buddy-lasing’ [using a laser to designate a target — ed.] a laser-guided 500-pound bomb dropped by a Marine Corps Harrier jet — which tends to happen more with the Predator than the Reaper given that the Reaper carries its own heavy stores and so doesn’t need another plane to deploy ordnance for it. “Other operations I watched included one close to a mosque in a mixed-use environment with the possibility of collateral damage. Because of the surgical precision with which the aircraft can target, there were no collateral losses as the Reaper fired a Hellfire missile at an insurgent vehicle carrying a heavy machine gun. “Yet another operation that I watched was of a Predator providing cover for a Marine Corps patrol that was taking fire from a sniper on a crowded street. The Predator was able to use combined IR and visual cameras with fused data to see muzzle flashes from the sniper coming out of a particular window, allowing the Predator to fire a Hellfire missile directly into the window. “It’s also important to note that Predators and Reapers have remarkably small sound profiles. Watching Predators take off, I was surprised at how quiet they were. With a small turbocharged Rotax engine, a Predator can loiter above targets providing data in real time without the subjects being aware of the aircraft’s presence. “I watched an operation with a Special Operations Forces team raiding a house with a high-value individual inside. The Predator circled above the house for quite some time providing real-time data on the location of animal pens so that the SOF teams would not spook them, thus giving away their positions. “During the prosecution of the mission, pilots in Nevada were able to communicate with ground troops in real time, notifying them of people escaping out the back of the house into fields at night. The on-board IR pointer on the Predator was able to provide a cone of IR illumination from the air, revealing the individuals’ hiding places on the ground to the SOF team wearing night vision goggles. “The individual was taken into custody without a shot fired. No bombs or missiles had to be used. Bryan previously took us inside a Navy submarine.